We will update the game (version 2.4.35) tomorrow in order to provide new content and a better game experience for you all. 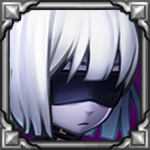 Soul Hunters will not be available from 08/25 12:00 AM until 08/25 06:00 AM PDT. - Dina’s ultimate “Prehistoric Beast” no longer reflects damage back at enemies which are immune to damage.